Escape to the Mountains!!! 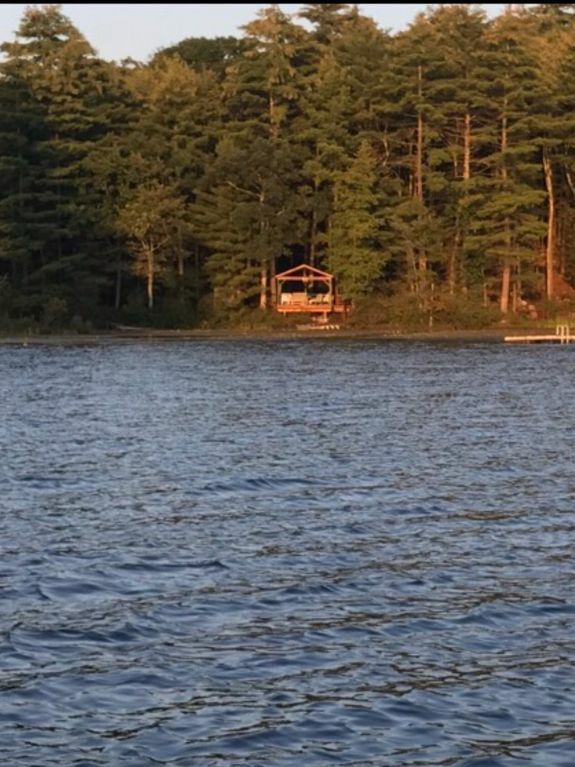 Charming, cozy, cottage, for rent on a pristine 2 mile long and 1/2 mile wide private lake located at the foot of the Catskill Mountains in the Delaware River Valley. Rental includes 4 beds, and a sofa. Full size refrigerator, dishes and utensils, and barbeque grill. Also use of row boat, lakeside gazebo and grill. Swimming, fishing, and rowing, all available to you. Supermarket is 10 minutes. Forestburgh Playhouse, Resorts Catskills Casino, Delaware River,Kadampa Meditation Buddhist Retreat, Bethel Woods... all within 20 mins. Special rates for visiting family members for all Summer Camps in Glen Spey. very clean, organized place, great opportunity to see wildlife; chipmunks, eagles and deer and enjoy the lake with "no problems". over all the cabin is very clean and plenty of creature comforts, plenty of comfortable beds and bedding. Happy you had a good time and got to see the bald eagles! Steve was a great host and a perfect gentleman. Everything was clean and ready for our arrival, right down to the Happy Birthday Balloon he tied to the kitchen chair, nice touch! The lake is beautiful and private. On our first trip down the path to the water we were greeted by a flock of turkeys and a herd of deer. Lakeside dock and deck area are great for enjoying the beauty of the water. John boat and electric motor were ideal for fishing. I'll be back! Thanks Steve. Jon,it’s always a pleasure to have guests who appreciate the nature and privacy that the property offers. The underwater video you sent me of the mammoth rocks that exists a few hundred feet from my shoreline, explains why fisherman come back every year to catch what lies beneath. Looking forward to seeing you again! Upstate Paradise - Beautiful Lake, Great Location, Great Host! I just first want to say that I've been renting in Sullivan County for 8 years and this has been overall my FAVORITE experience! The house was quaint and perfect for my girlfriend, mother, and I to spend a nice quiet week. This house is located in a great location near places to eat, farmer's markets, Peck's grocery store, Kadampa meditation temple, St. Volodymyr Ukrainian church, the "haunted" Burn Brae mansion, Lumberland Circle Park, and other attractions. The lake is so beautiful this time of year and I actually caught a huge bass not far from the dock. (A 4lb.10 ounce giant!) Not only were the accommodations great, but I can't say enough about Steve, our gracious host. He was so nice and he was always there when we needed him. We had trouble with one of the oar-locks and he came down and replaced it on the spot! Amazing guy!!!! He really went above and beyond to make our stay the best as possible. I would recommend this house for anyone looking to get away for a great vacation in the Catskills. George, it was my pleasure having you guys at the lake. You are an amazing fisherman! Not only did you catch that monster bass... which by the way makes you the current leader in the free weekend getaway contest that runs through Sept.2019, but you also released it back, along with multiple others.To mention that your stay was your “favorite” among your eight years of visiting Sullivan County, really made me feel proud, and only wanting to do more on your next stay! I have to say I was a little weary because he didn’t have a lot of reviews on here but boy was I being silly, the cabin over exceeded our expatations. It was a last minute booking and me and my friends were more than satified with the cabin, area and host. Steven was a great host and such over all nice guy!! The property is beautiful and spacious, we were only 4 that stood but many more can fit and still sleep comfortably I was would say at least 6 ppl. The lake was gooorgeous and the fact that it’s only a 5 minute walk from the cabin and that you get to swim or hang out in the balcony next to it is a plus!! We had a perfect weekend!! I would love to visit again, if Steven will have us. Tiffany, I’m so glad you and your friends had a fantastic weekend. Not only did you enjoy the property, but you ladies were so adventurous and took advantage of the many great places to see in the area.I can’t believe you ladies were actually able to attend a traditional Buddhist ceremony at the world famous Kadampa Meditation Center, which was only 5 minutes away.Speaking of 5 minutes away, most guests make it down to the lake in less than two.... you must have been distracted by the many deer that roam the property. Lol! Jasmin and I look forward to seeing you ladies again next summer! We highly recommend for everyone to come here!! Edward, it was a pleasure to have you and your beautiful family up at the lake. I look forward to seeing you again next summer. We must make a fabrengen in the Gazebo next time!! This cottage provides you with a most comfortable getaway from city life! Clean, neat, up to date facility with quiet and scenic views surrounding you. Relaxing atmosphere. The cottage is well taken care of and owner provides you with kitchen facilities and comfortable beds, couches, chairs, lawn chair and more! Amazing experience and we wish we could have stayed longer! Just down the road is a lake that has a beautiful view and great swimming opportunity. If the dates you want are open, grab it and enjoy! We did! Thank you for sharing your experience. We are so happy you had a wonderful time. Looking forward to seeing you again next summer! !